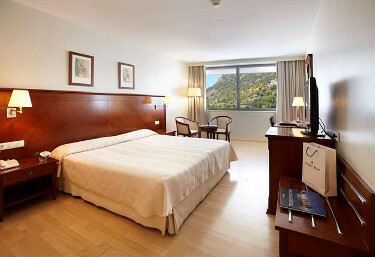 The 5 star Eurostars Hotel Real in Cantabria from €89 per night. ​Price is based on two people sharing. 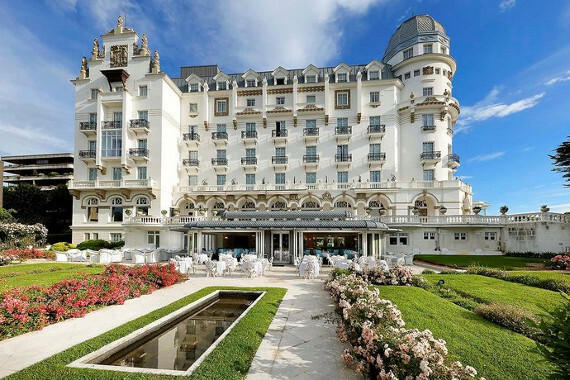 The 5 star Eurostars Hotel Real provides a modern and luxurious base whilst visiting Santander In Cantabria. 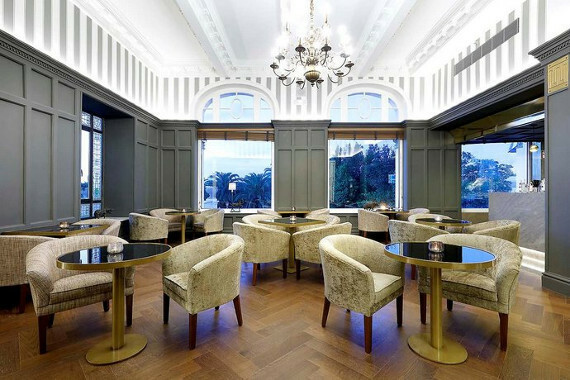 Situated in Santander, this 5-star property is elegant and cosy. It also offers a Turkish steam bath, a rooftop terrace and free Wi-Fi. Guests can enjoy a range of massage treatments and beauty therapy at the in-house spa, The Thalassotherapy Centre. Relaxation facilities include a swimming pool, a sauna and a beauty centre. Featuring views of Sardinero, the hotel is an ideal place to stay for those looking to scope out local attractions in Santander. The rooms are air conditioned and equipped with a seating area, a mini bar and a flat-screen TV. All feature their own bathroom with robes and amenities. On-site dining options include a restaurant, which is an ideal spot to enjoy a meal. In the evening, guests are invited to relax in the comfortable lounge bar. Eurostars Hotel Real is also surrounded by the area's popular restaurants and bars, plus Gran Casino del Sardinero is a 10-minute stroll away. The friendly staff at the tour desk are available to organise tours and activities in Santander. The 4 star Eurostars Ciudad de la Coruna starting from as little as €59 per night. 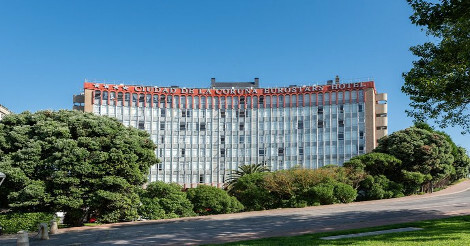 Eurostars Ciudad de la Coruna provides modern 4 star accommodation in A Coruna. It is conveniently positioned for guests wanting to sightsee in the area. 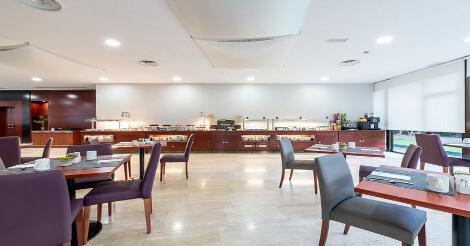 There are a variety of amenities on offer to guests of Eurostars Ciudad de La Coruña, such as a coffee bar, free Wi-Fi and meeting facilities. The front desk operates around the clock and the friendly staff can recommend sights to visit and provide other tourist information. This luxury hotel features rooms with an en suite bathroom, air conditioning and a TV. They all have a rollaway bed, a mini bar and an in-room safe. In-house dining options include Torremar, which is an ideal spot to enjoy a meal. Each evening, guests can relax in the cosy lounge bar. Hotel Eurostars Ciudad de la Coruna is under a 25-minute drive from A Coruna Airport and Tower of Hercules is a short walk away. Port of A Coruna and Estadio Riazor are just an easy drive from the hotel. 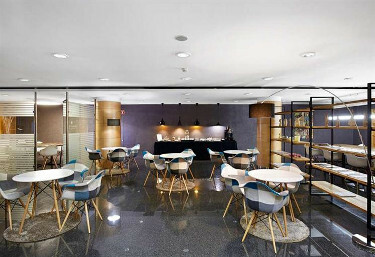 4 Star Golden Tulip Andorra Fenix In Andorra starting from €48 per night. Andorra is one of the top ski-ing destinations for winter sports enthusiasts and the Golden Tulip Andorra Fenix provides an ideal base when visiting the ski resort of Andorra. Located in Andorra la Vella, Golden Tulip Andorra Fenix is an easy drive from Escaldes-Engordany and provides an indoor pool, a Turkish steam bath and a sauna. It also offers a beauty centre, ski passes and a sun deck. Guests can soak up the outdoors on the terrace or have a beverage at the bar. Corporate amenities include a business centre and meeting rooms. 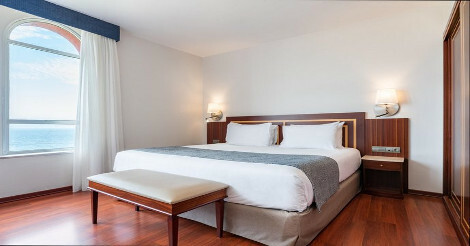 Golden Tulip Andorra Fenix provides 120 air conditioned rooms filled with all the essentials to ensure a comfortable stay. The hotel also has several connecting rooms to accommodate families. On-site dining options include a restaurant, which is a convenient place to enjoy a meal. 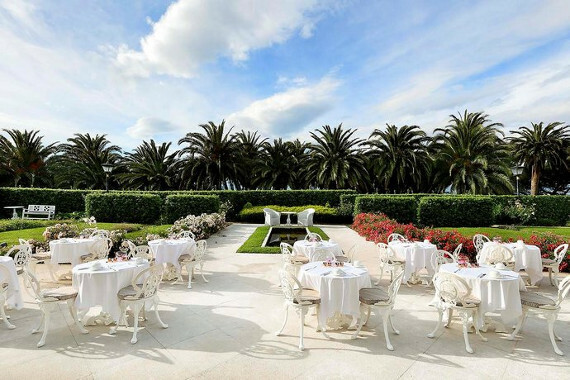 A wide selection of dining options are also found in close proximity to the property. Golden Tulip Andorra Fenix is within a short walk of Caldea Centre Termoludic. The helpful staff at the tour desk are available to book and organise activities in Andorra la Vella. 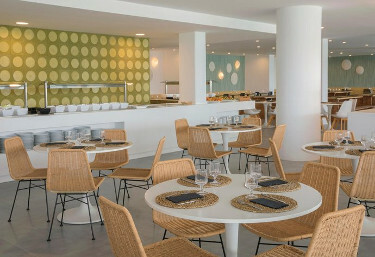 4 Star HM Martinique on the Isle of Mallorca starting from €41 per night. Situated in Magaluf, HM Martinique provides 3-star accommodation, as well as outdoor tennis courts and a swimming pool. There is also a fitness centre with outdoor tennis courts and a swimming pool. 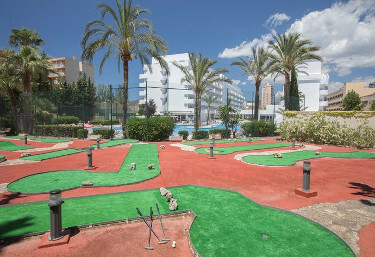 The hotel boasts a variety of recreational amenities and services, including a football field, bicycle rental, miniature golf and a golf course called Mini Golf Course. Family amenities include a kids pool. The rooms are air conditioned and include a refrigerator, an in-room dining area and a private balcony. For those who wish to cook their own meals, there is a kitchen that is equipped with a toaster and kitchenware. HM Martinique houses a restaurant and a bar where guests are able to relax of an evening with a meal and a drink. A wide selection of eating options are also available in the surrounding area. Magaluf's popular attractions and landmarks are within close proximity to HM Martinique, with The Pirates Adventure just minutes away. Palma Nova and Cala Vinyes are also a short drive away. 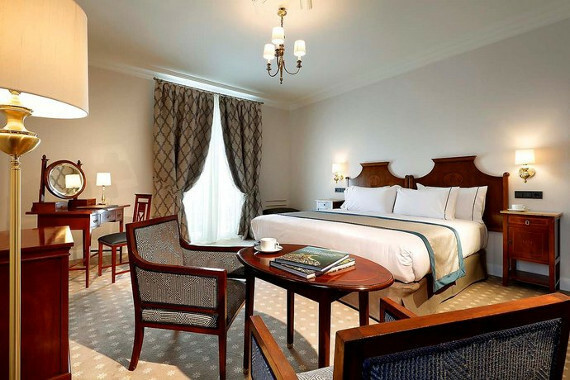 5 Star AC Hotel Oviedo Forum A Marriott Luxury & Lifestyle Hotel in Asturias Spain from €74 per night. Conveniently positioned, AC Hotel Oviedo Forum A Marriott Luxury & Lifestyle Hotel allows for easy access to Oviedo's best hot spots. Some of the features on offer at this 5-star hotel are a Turkish steam bath and a rooftop terrace. There are a variety of amenities available to those staying at AC Hotel Oviedo Forum A Marriott Luxury & Lifestyle Hotel, including 24-hour room service, a tour desk and meeting facilities. The front desk operates around the clock and the friendly staff can suggest places to visit and provide other tourist information. Rooms at AC Hotel Oviedo Forum A Marriott Luxury & Lifestyle Hotel provide a stylish space to unwind, complete with a mini bar. All have an en suite bathroom where a bathtub and a hair dryer can be found. The hotel features a restaurant and a bar where guests are able to relax of an evening. There is a variety of breakfast options to choose from every morning. 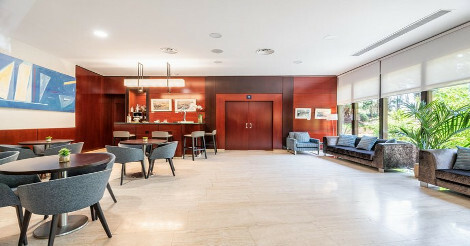 AC Hotel Oviedo Forum A Marriott Luxury & Lifestyle Hotel is under a 35-minute drive from Asturias Airport and La Foncalada is a brief stroll away. It is minutes on foot from Oviedo Railway Station, which allows easy access in and around Oviedo. The 4 star Silken Al-Andalus Palace Hotel in Seville Spain from €64 per night. The 4 start Silken Al-Andalus Palace Hotel provides a modern and elegant base whilst visiting Seville. Silken Al-Andalus Palace Hotel provides luxury 4-star accommodation in Seville. It has a spa, as well as free Wi-Fi, a swimming pool and a rooftop terrace. Al-Andalus Palace has a fitness centre with a swimming pool. It provides family-friendly facilities, with room designs and services for families both large and small, plus babysitting/child services and a kids pool. The elegant rooms at Hotel Silken Al Andalus are air-conditioned and include a mini bar, a private bathroom and slippers. They all offer an in-room safe, internet access and an alarm clock. Hoteles Silken Al Andalus features a restaurant and a bar where guests can unwind of an evening with a meal and a drink. Room service is also offered during certain times. Sevilla Hotel Silken Al Andalus is an ideal base to explore Seville Cathedral and Alcazar of Seville, as well as everything the local area has to offer. The helpful staff at the tour desk are available to book and organise activities in Seville. Search through many of our amazing cheap hotel deals!